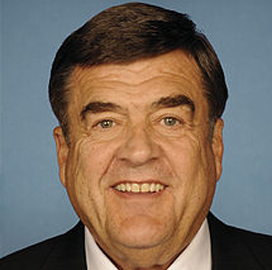 Maryland Congressman Dutch Ruppersberger is refining a system that he wants to replace the National Security Agency‘s practice of collecting Americans’ phone data in bulk, the Washington Post reports. Ellen Nakashima writes that by announcing he is crafting the system into legislation, Ruppersberger became the first of the four congressional intelligence panel leaders to publicly advocate moving away from those activities. On April 9 at the Potomac Officers Club‘s 2014 Cyber Summit, Ruppersberger will discuss the future of cyberspace as it impacts the public and public sectors alongside his Republican counterpart Mike Rogers, chairman of the House Intelligence Committee. The intell leaders will be joined by Steven Chabinsky, the former highest ranking non-law enforcement officer in the FBI’s Cyber Division and Department of Homeland Security cyber leader Bobbie Stempfley, among other government and thought leaders. Click here to sign up for the executive-only summit and join their discussion. Nakashima notes that Ruppersberger’s system would have phone companies continuously alert government on the activity of certain phone numbers suspected of being associated with terrorist activity. “You have a terrorist who’s active. You know he’s calling someone in the United States, then you want to have a continuous listing” of numbers, she quoted Ruppersberger as saying.